For More Info Please Click the Links Below. Don't Forget to Request the Day off Work if you Work Weekends. 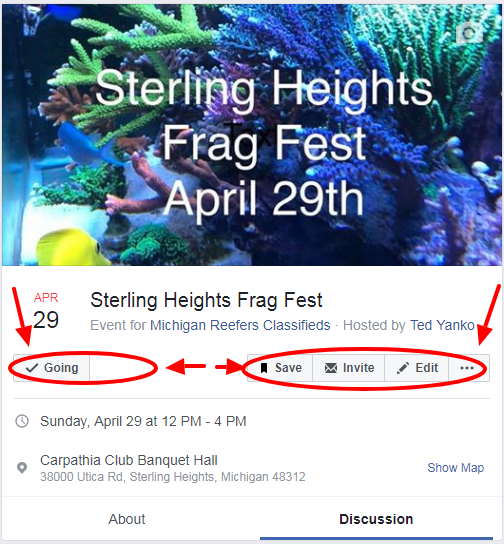 EVERYONE Please Remember to Mark "Going" or "Interested" on the Sterling Heights Frag Swap (Sterling Heights, MI) Facebook Event Page. 1. Don't Forget Cash. Some Vendors will Take Credit Cards, but Others are Cash Only (Even if a Vendor Accepts Credit Card They Will Prefer Cash Because They Will Not Have to Pay Credit Card Fees). 2. Bring a Small Portable Cooler to Store the Corals that you Bought In. 4. Admission is $5 Having the Exact Amount Helps Things Go Smoother at the Entrance. 5. Be Aware of How Much Time You Take Talking to a Vendor if what Your Discussing Doesn't Involve Buying Something. Vendors are Very Helpful and Knowledgeable and Most Will Try to Help You, but Please be Conscious of the Fact that Vendors are There to Sell and Not to Explain How to Rid Your Tank of Nuisance Algae (For Example). 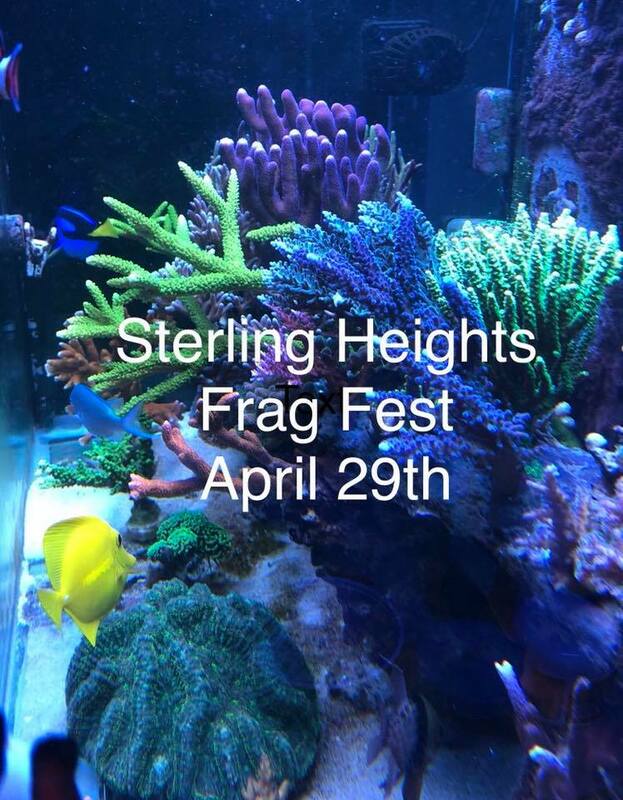 The Sterling Heights Frag Swap (Sterling Heights, Michigan) is just 2 Weeks Away !!!!!!!! Last edited by that Fish Guy; 04/21/2018 at 03:35 PM. The Sterling Heights Frag Swap (Sterling Heights, Michigan) is just 1 Week Away !!!!!!! !